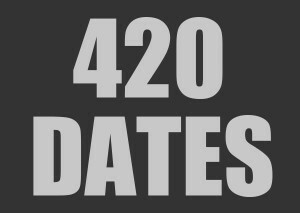 Once you have a nice collection of quality marijuana seeds, the next step is of course, quality marijuana plants. 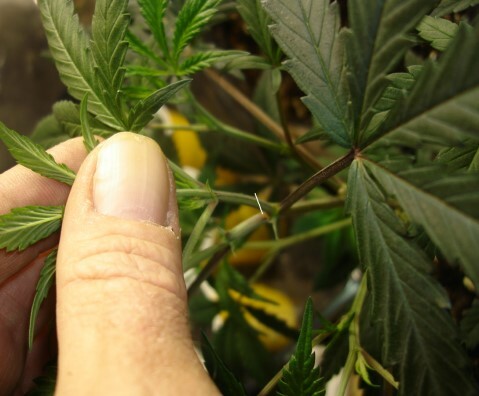 In an effort to reduce your expense and time spent with male plants, we introduce "How to Clone Marijuana Plants" (specifically, female marijuana plant cloning). When you know your plant is female and you want to continue to grow that particular weed strain, you can clone the cannabis plant many times over without any loss of potency. These offspring retain all the qualities of the original "mother" plant. Your marijuana clone is also guaranteed female. Therefore, when you replant it, your resources are spent on a female species that you enjoy! 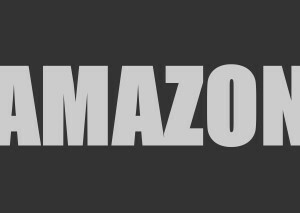 No lost time, soil, nutrients, or energy (saves $$$). 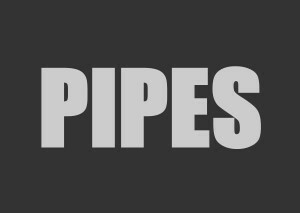 This practice also allows for a repetitious harvest throughout any time of the year. 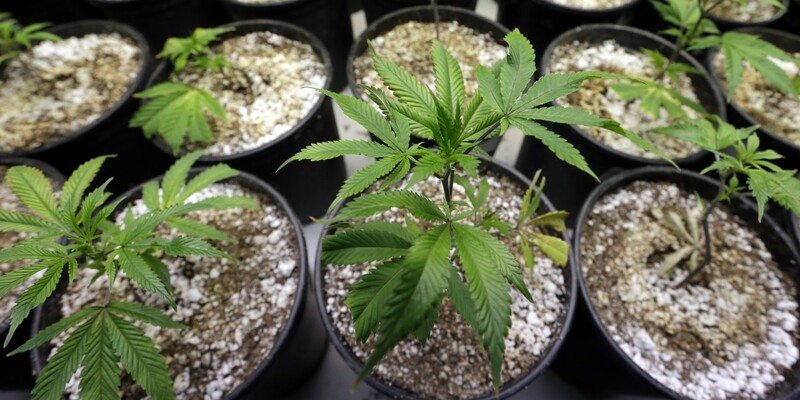 As you will find, cloning your favorite marijuana plants can be easy and save you big money. 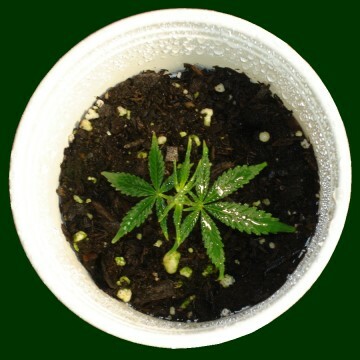 You can clone a marijuana plant many, many times from it's off-shoots. 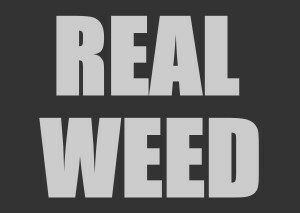 This should not be confused with breeding marijuana plants, these are two completely different topics. Here, we are cloning a pot plant to provide for the exact same female species, versus breeding similar or different plants for their 'new' offspring strains. The cannabis plant is strong and versatile, it can be turned back to the vegetative stage once it has begun flowering and shows itself as a female. 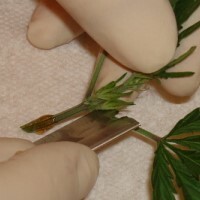 The following process can be used to reproduce (or clone) a female marijuana plant once it has already been moved to the flowering (12/12) cycle and is determined to be female. 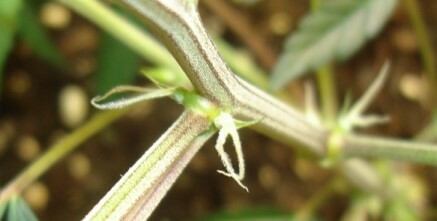 You can clearly see the female pistils in this photograph. If we already know the plant is a female (female seeds), we simply follow the same procedure before we move the plant to flowering stage. The recovery period is shortened, (it does not have to revert back to vegetative, because it never left) and you can move these new clones into 'flowering' in just a few weeks time. 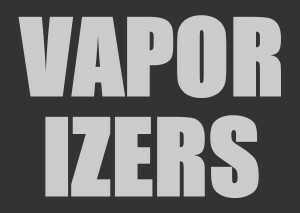 It is important when preparing to clone your marijuana that everything be clean. 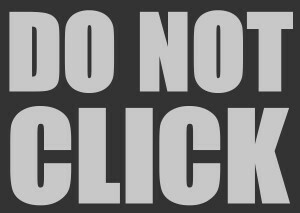 Once again, this includes you. If you don't use surgical gloves, then wash your hands and tools well with alcohol. Remember, in essence, we are preparing for surgery - it just happens to be on a favorite plant we know and love. 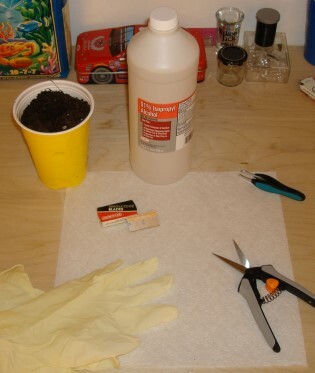 Cloning supplies include; rooting gel, alcohol, single edged razor blades (knife), gloves, and the grow medium you plan on starting the clone in. Here you can see we are on a strict budget of Solo cups. 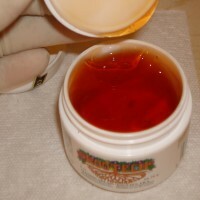 Remove some rooting gel from it's container using your razor blade or knife. This protects the balance gel from any contamination. We have now chosen the female pot plant that we wish to clone and have prepared for our cloning procedure. For this example we are showing you just one, however, you would usually do multiple clones at one time. You would think it was gold with the cost of some rooting gels, but it can go a long way. Work hard not to contaminate your jar (no dropping soil over it, etc.). We take a small amount off the cover with our razor blade and then seal our rooting gel and put it away. You will find it can last until you use it all (with proper care & minimal waste). Once you remove some gel from the container, I do NOT recommend putting any remainder back in the jar. Use as much as you took out and dispose of any left-overs rather than putting it back in the jar. Now we take our clean razor and head over to our Mother Plant where we have chosen our sprout to "cut". We want a nice clean cut at a good angle, not a straight cut. We are about 3-4 leafs in from the top of our stem. Take your razor blade and firmly slice at an angle across the stem that we wish to clone (see mark). 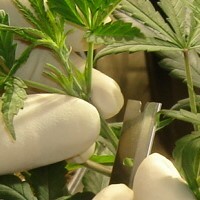 Be gentle with your clone leaves and do not touch the new cut end of the sprout. 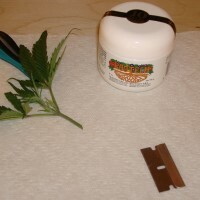 Be careful not to touch your razor or the open cut of the stem to anything. You can accomplish an excellent cut if you use a mild slicing motion when you cut downward. Now we are ready to prepare our clone for transplanting. We take our rooting gel, our razor, and our sprout to a clean work area. 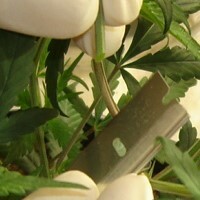 Begin by slicing off the larger leaves that are close to the bottom of our clone sprout. We will be promoting additional root growth from these points. Take your rooting gel and generously apply it to the root tip and all the way up to our other leaf cuts. 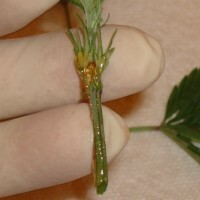 Do not be afraid to apply a generous amount of gel to your clone cuttings, it immediately protects them, and gives them what they need to re-root. Please remember to be gentle with your little sprout as they are very sensitive and vulnerable right now. This Northern Lights/Haze marijuana clone is now ready for it's soil and then we put it in the humidity dome for a few days. 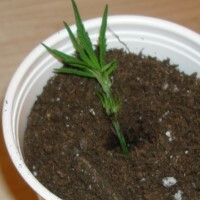 Once we place it in our soil (we used our pinky to make a hole in our cup ahead of time), lightly move the soil around your clone attempting to make it straight at the same time. Do NOT press the soil too firmly, we will let the water settle the new clone and the soil. When we have our clone squared up and in place, we water the cup generously. This settles our soil and gives the plant a stance. We then move our new cannabis clone over to our humidity dome for a few days. 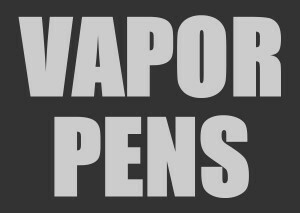 When the soil is completely wet, we spray it and place it under a 16 or 18 hour light cycle in a domed enclosure. If you cloned a female that had already been converting to the flowering stage, it will take a number of weeks to completely turn-back this clone to it's vegetative stage. 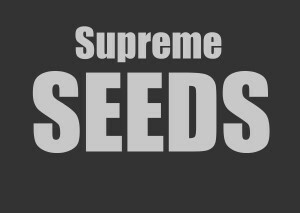 If you cloned a female plant (from seed) that you already know will be female, then you have only a couple of weeks and that clone will be ready to go to flowering. 2-3 weeks versus 6 weeks or more to turn some flowering plants back to the vegetative stage. The concept of the mother plant comes from keeping my original Northern Lights/Haze FEMALE plant going (they can live year round). You simply continue to take clones from HER (this helps to keep the mother plant short and sweet) and you can count on them being female and the potency of the original being retained. This also allows you control your harvest a little better... good plant (garden) management. Besides watering your new clone, be sure and spray it for a couple of days. It likes the moisture while it tries to re-root. Only use water at this point in the process, let the root gel do the rest. 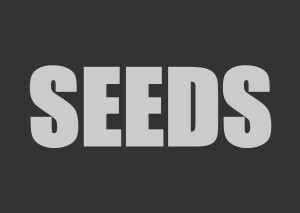 You can begin by investing in female marijuana seeds. While more costly, they are guaranteed female and you save literally weeks ($$) when you clone a young female marijuana plant that is still in a vegetative state, versus turning back time. 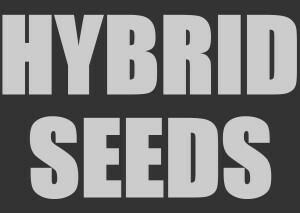 Done properly and you only have to buy those expensive feminized seeds ONCE! Because you make clones and will always have females of that strain as you continue to grow your personal marijuana garden. That's going to end our Chapter on cloning marijuana and cannabis plants indoors. We hope you learned some great stuff in the process! 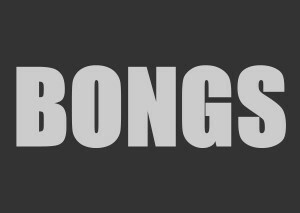 You can save a lot of money when you begin cloning your favorite cannabis strains. 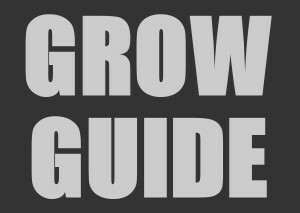 You no longer have to germinate seeds, and they keep all the potency of the "Mother" plant that you cloned from. That also saves you a few weeks time in growing seedlings. And we all know - Time is money.